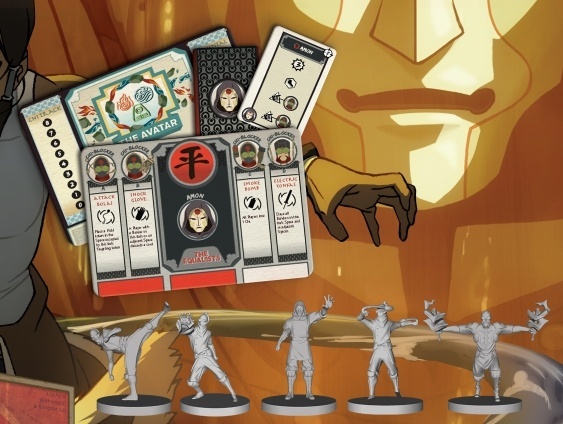 IDW Games will release the first expansion for The Legend of Korra: Pro-bending Arena board game, Amon�s Invasion, in February. Republic City refused to cancel the Pro-bending championship despite Amon and the Equalists� threats, and now Amon and his Chi blockers have invaded the arena, taken hostages, and set a bomb. Now the Pro-bending teams must cooperate to defeat them. 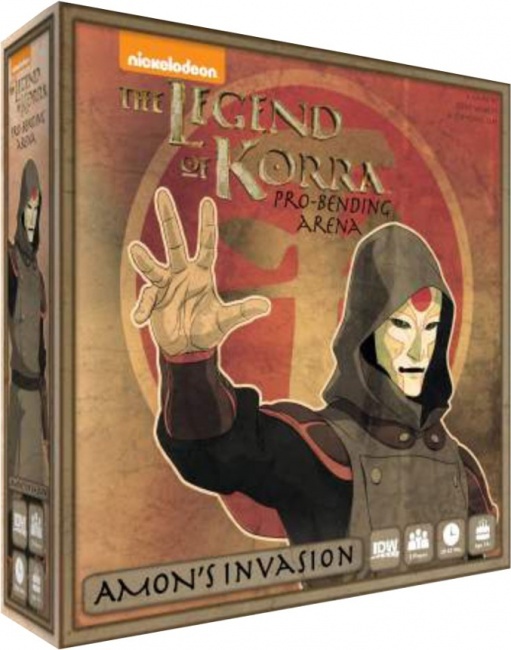 Amon�s Invasion adds three modes to the base game. Equalist Uprising has both players cooperate to defeat an A.I. controlled Amon and his henchmen. Amon Solo Villain Mode has one player take control of Amon and his top 2 henchmen and face off against another player�s full team of benders. Avatar Korra Mode allows players to unlock Korra�s full potential (earth, fire, water) as a single bender against the opponents. The game is for 2 players, ages 14 and up, and plays in 30 -45 minutes. As an expansion it requires the base game to play. MSRP is $29.99.